Your Chance to Live in the House That George Thorogood Once Owned! The House That George Bought. Here’s your chance to live in the Newark, Delaware house that George Thorogood once owned and drank—alone—in! On its face, this home looks like your standard single suburban home. Three bedrooms, a sizeable (0.60 acre) lot and a couple of baths. The 1,500-plus square-foot property has been fully renovated, including a gourmet kitchen with radiant heat flooring and all new appliances. But there is a large, blue sign just out front of the driveway gate that reminds potential buyers that this place is unlike many other Newark, Delaware homes on the market. It announces the former owner-occupant: one George Thorogood (he of the Destoyers and “Bad to the Bone” fame). 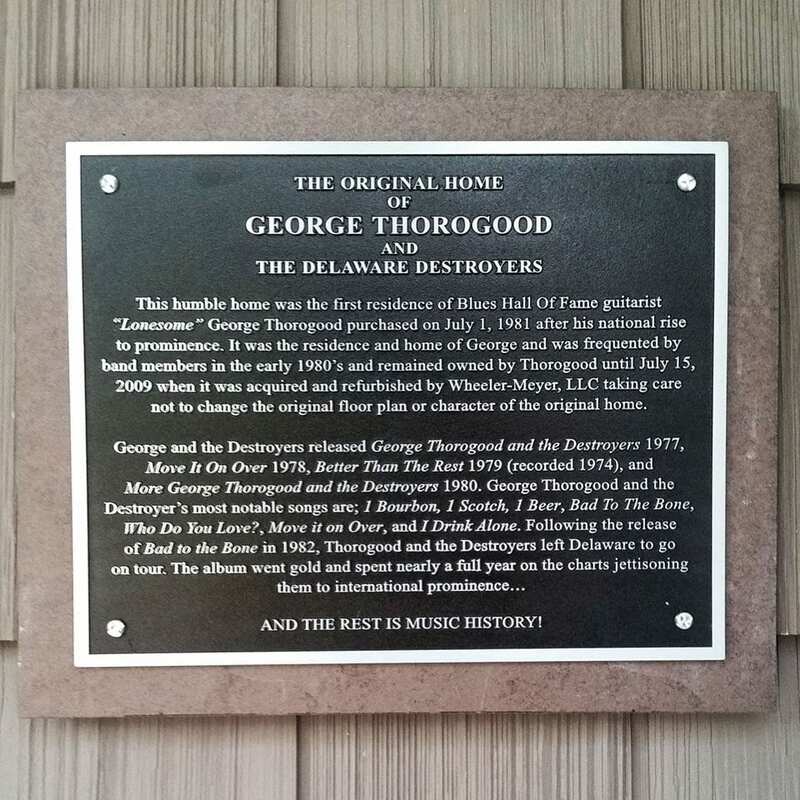 “This humble home was the first residence of Blues Hall of Fame guitarist ‘Lonesome’ George Thorogood purchased on July 1, 1981 after his national rise to prominence,” the sign reads. Come on, you know you’re interested! Steve Miller, I’ve Had It! When I was a teenager, I enjoyed the hits of Steve Miller Band. I never got around to buying a single record by the guy, not even a 45, but Miller’s hits bridged the leap I was making from AM to FM radio. Compared with so much of the sludge I found myself wading through in the new (to me) world of FM rock, Miller’s music was catchy, fun, and kind of old-fashioned. Even when he mixed in the occasional long space jam intro, his songs eventually got down to the simple business of hammering home a couple of meaty hooks and some off-hand lyrics that espoused only the slightest trace of cool. Steve Miller wasn’t that cool, mind you, but his level of cool was attainable. When I was in my 20s, fully reveling in my role as a rock iconoclast, I found opportunities to pump up my mild teenage enjoyment of this artist. As mainstream rock got more ponderous and underground rock became less disciplined and hook conscious, the humble strengths of Miller’s big hits suddenly shined. I held onto this perspective for the next 10 to 15 years. Then, for a few years, I toyed with officially upgrading Miller, holding him in the same regard I hold for Tom Petty & the Heartbreakers: rock-solid radio fare that’s always worth letting play out when flipping the dial. I seriously considered picking up Steve Miller Band’s Greatest Hits. About 2 years ago, however, seemingly overnight, I found myself recoiling when Steve Miller Band songs came on the radio. My wife still digs him for all the reasonable reasons anyone could dig him. She wants to let the songs play through, but his lyrics are so dumb and his delivery so devoid of anything but the lowest-level sense of cool and self-deprecating humor that I feel it beneath me to expect so little of any artist. I’ve had it with Steve Miller. I think there’s only a single lyric from all of his hits that still resonates with me in any way, that “really like your peaches, want to shake your tree” line from “The Joker.” I like the “midnight toker” line, too. They are both so evocative of a type of feeling that was in the air at that time with some kids at my school that they mean something to me. They’re like the musical equivalent of Spicoli. The rest of Miller’s lyrics and delivery can go to hell. I’m not buying his Greatest Hits. I’m no longer considering him for a Critical Upgrade. I’m not even going to play the “Steve Miller is actually great” card to piss some rock snob off. It’s not worth it. A band that’s been wildly popular through 3 lead singers, a record-setting run of bad taste, and dozens of hissy fits is usually not thought of as being in need of a world famous Rock Town Hall Critical Upgrade, but while watching the movie Argo this weekend and hearing “Dance the Night Away” crank up during a scene it occurred to me that I might have been more receptive to Van Halen in their time, if not even liked them a little better, if they had been marketed as a power pop band rather than some kind of badass hard rock act featuring a lead guitarist who was taking the next giant steps after Hendrix. They were marketed as some kind of badass hard rock act featuring a lead guitarist who was taking the next giant steps after Hendrix, right? Maybe I missed the point. Maybe they were supposed to be taken as some sexually charged version of The Raspberries. Pull down Eric Carmen’s bellbottoms and you’d be looking at the smooth, plastic crotch of a Ken doll. You know David Lee Roth, on the other hand, was packing heat inside his Spandex tights. I don’t think he needed plugs down there. Is that what the little girls have understood all along? Should I have been grading Van Halen as a power pop band more than a hard rock act? Thought of in those terms were they actually kind of great? As I get stuck on the intro to “Dance the Night Away” I am, probably fortunately, not having much luck recalling how their other songs go except for a few key bits, like the talking blues intro to on song and the chorus of “Panama,” at least the opening line of the chorus, when they sing the song’s title. Come to think of it I just heard “Jump” about a week ago and realized how decent a power pop song that was. 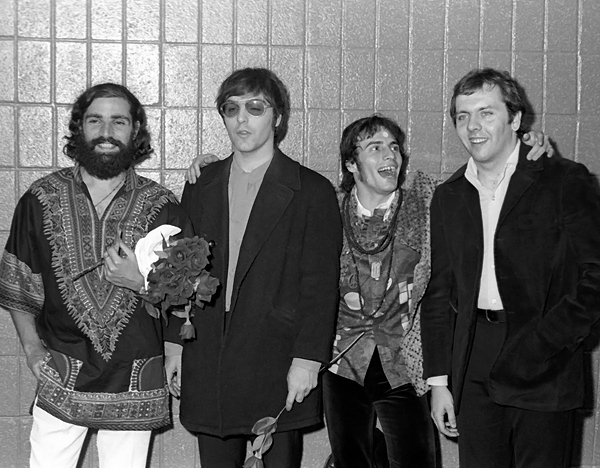 You know I’ve got a deep, some might say perverse love for Eric Burdon & War, but War itself, after Burdon left the band, was even better. Today, in an effort to petition for a Critical Upgrade, I declare War! In coming weeks there may be more evidence to submit. This is one of the first War (sans Burdon) songs I loved. My baby brother and I used to get a kick out of it. I’ve always been a sucker for any bass riff along the lines of Spencer Davis Group‘s “Gimme Some Lovin’,” and this song’s core riff met that criterion. The overall effect of discovering War at the age of 11 was like seeing Fat Albert & the Junkyard Band come to life. Are there bands that you feel are taken for granted, from any era? Not obscuro “cool” bands that no one knows about but people like us, but bands that cranked out their share of hits that even intelligent music lovers like ourselves tend to overvalue? Here’s an imagine exchange between me and one of you that illustrates what I’m getting at. Me: You know what pisses me off? Me: When a band like The Rascals is taken for granted? Me: “People Got to Be Free,” dare I say “Good Lovin'”—not the Dead’s version! You: Yeah, yeah, I know The Rascals. They’re in the Rock ‘n Roll Hall of Fame, aren’t they? How’s that taking them for granted? Shaun Cassidy’s Wasp: Credit Where Credit’s Due? 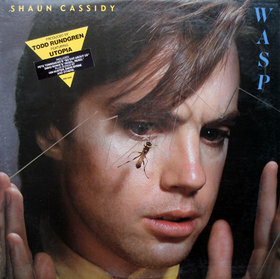 Remember teen-hearthrob Shaun Cassidy‘s play for musical credibility, an album called Wasp? On this 1980, Todd Rundgren-produced album the younger half-brother of David (and star of The Hardy Boys/Nancy Drew Mysteries TV series),covered songs by David Bowie, The Who, The Animals, Ian Hunter, Talking Heads, and more. Cool songs. Rundgren and Utopia back young Shaun. As mind-blowing as the thought of this album was when it came out, I never heard a lick of it…until now. Have you ever heard the entire album? Check out the following tracks and let me know if Shaun Cassidy belated deserves credit where credit is due. 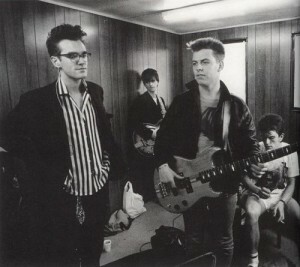 The Smiths – I saw them open for The Fall in 1983 and thought they were very boring. Then I had to listen to them as my record store co-workers played them over and over again in 1985-86. I thought Morrissey was a pretentious drip, which prevented me from even trying to like the music. But after an extended period of this immersion technique, I grew to enjoy Moz’s defiance and eccentricity, his vocal ticks and his camp posing. Some of his lyrics were actually quite funny, and the band, if you listened, seemed to play rock and roll sometimes. I decided I quite liked them, but that I probably would have loved them if I were 17 and not a few years older than that. There are other examples, but what about you?